On July 13, 2017, the U.S. House of Representatives passed a bill that would triple the amount of time in which medical device manufacturers are required to report certain malfunctions of some products to the Food and Drug Administration. Companies currently must report product malfunctions within 30 days; the new bill would allow companies up to 90 days to do so. 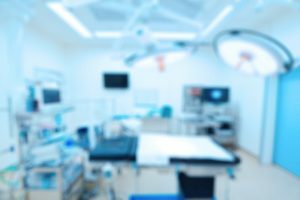 Notably, the proposed legislation does not change the amount of time for medical device manufacturers to report adverse events in which a patient has been injured or died. Companies would still be required to report such adverse events within 30 days. The bill, known as the FDA Reauthorization Act of 2017, reflects an agreement between the FDA and the medical device industry that, among other things, sets the amount of fees manufacturers pay the FDA to review their products. The proposed legislation would be in place until 2022. The U.S. Senate has not yet voted on the bill. In addition to lengthening the time to report malfunctions, the bill would allow medical device companies to file summaries of previously reported product malfunctions instead of detailed, individual medical device reports. Malfunction refers to the failure of a device to meet its performance specifications or otherwise perform as intended. Medical device manufacturers stand to benefit from the relaxed deadlines because the reports about recurrent malfunctions tend to be boilerplate and repetitive. This will allow manufacturers to focus immediate attention on more serious product issues, i.e., those that have resulted in patient injury or death. Adverse events should still be reported as quickly as possible to ensure the safety of medical devices. Some exceptions to the proposed change apply. For example, the 90-day deadline for submitting brief summaries would only be allowed for malfunction incidents that are recurrent, well-understood, and familiar to the FDA. New types of malfunctions – those that have not occurred previously and been reported – would still have to be submitted as individual reports. Furthermore, the new relaxed reporting rules would not apply to devices that have been on the market for less than two years. Repeat malfunctions of any products that have been on the market for less than two years must still be reported within 30 days. Nevertheless, the proposed legislation, if passed, should ease some of the paperwork burden placed on medical device manufacturers. ‹ Supreme Court Solidifies Specific Jurisdiction Analysis To Dismiss Product Claims Filed Against Non-Resident Defendant, Bristol-Myers Squibb Co.